The Freeride World Qualifier consists of 50 or so competitions organised worldwide and bringing together the world’s top freeriders. Each event is classified from 1* to 4*: the more stars a race has, the more points the winners get. The riders with the highest number of points during the Qualifier events go through to the Freeride World Tour. 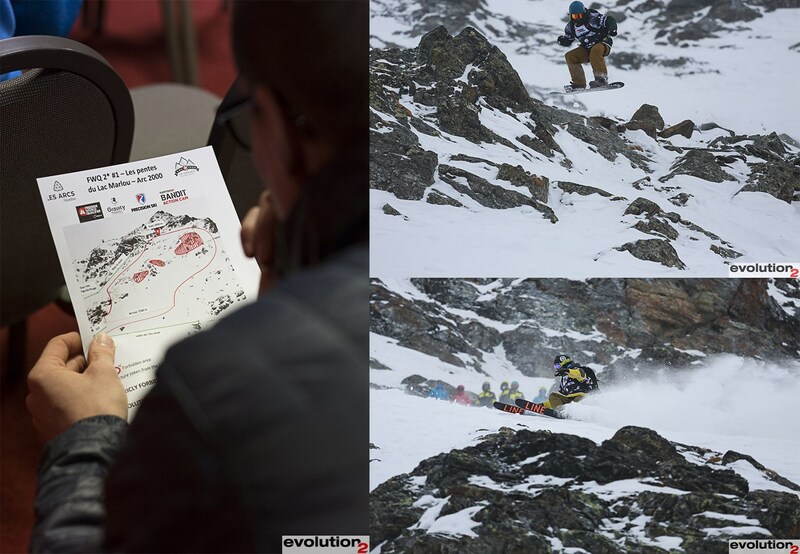 During the French Freeride World Qualifier event organised by Evolution 2, Arc 1950 Le Village will host freeriders from the world over who will compete in the best spots that Les Arcs has to offer. They will be using the Village as their HQ. This competition is open to young freeriders aged 14 - 17, whether they are novices or experienced riders. It allows young athletes to qualify and enter the very limited circle of the Freeride Junior Tour. They are therefore the top international young hopefuls of Freeride skiing! A competition that consists of 2 events. More information to come soon! The only 4* event of the Freeride World Qualifier to be held in France will also take place in Les Arcs. This competition offers the Freeriders a large number of points to win and is therefore one of the hardest tests!